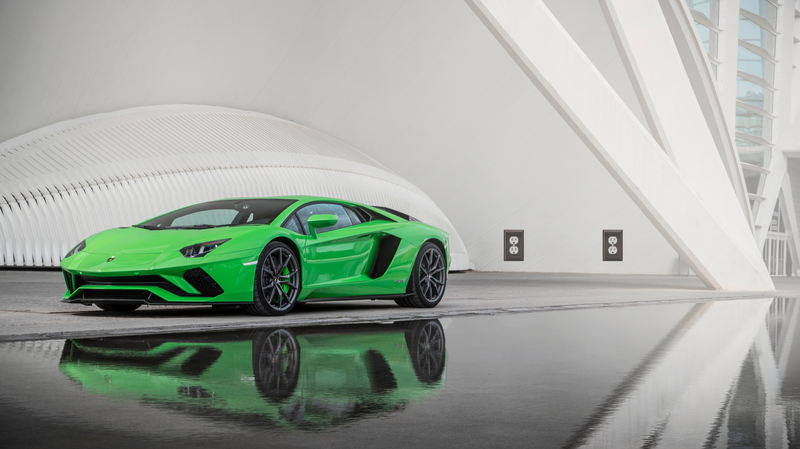 The Lamborghini Aventador S. The Aventador will get a hybrid replacement, Lamborghini says. No matter how much your Lamborghini-daydreaming younger self would try to cast you out like the devil was in the house if you told them, Lamborghini SUVs are already here and hybrids are on the way. It’s true, you tell your younger self, that Lamborghini is rolling with the trends of practicality and more efficiency. “The horror,” your younger self gasps quietly while looking around at all of the Lamborghini posters taped on their bedroom wall, with too empty and confused of a reaction to warrant an exclamation point. Lamborghini has been hinting at its hybrid future for awhile now, saying both the Aventator and Huracan replacements will be plug-in hybrids. It’s already got the SUV thing down, with the Lamborghini Urus debuting in December of last year and apparently, but not surprisingly, selling like most other crossovers and SUVs sell—like snow cones at the first hint of warm weather. “The next Aventador will be hybrid, with a V12. A decision is made on that and this is something that will keep us different from the others and this is very important. AutoExpress reports that Lamborghini engineers’ main focus right now is on the Aventador replacement and its hybrid V12, and that Lamborghini’s research and development boss Maurizio Reggiani said the end product will be “true” to the Lamborghini brand. “The value of our brand is based on our top end product. It must be really the pure interpretation of a supersport car. We are sure that one of things you must offer on a supersport car is a V12 naturally aspirated engine. “The car needs to be engineered for hybrid or not for hybrid. The supersport car cannot be a compromise”, Reggiani added, confirming that the Aventador replacement will be offered as a hybrid only, with no pure combustion option. No pure combustion option—a hybrid or bust. That’s intense. Domenicali confirms that the firm is looking at alternatives to lithium ion batteries, including fuel cell technology, in a bid to reduce the weight of any future EV. As Maurizio Reggiani says: “For us, the super sport car must be able to do the fastest Nurburgring time, but it must be able to repeat this two or three times, it cannot be one shot”, he explained. Reggiani told AutoExpress that current EV technology means a driver can “have power for one lap at high speed, or energy for more laps but slower speed” and said that concept doesn’t fit with Lamborghini’s supercars. It’s probably best to wait out the development period of EVs given that concept, since people paying Lamborghini money for Lamborghini vehicles probably don’t want to have to choose between power and efficiency. If they did, they could just go look at a different car.